Italian builder Codecasa has announced the build of a new 65m at its yard in Viareggio. This new superyacht is expected to be delivered in the Summer of 2019. Few details have been released about this new 65m. Codecasa announced that it will be a completely bespoke build with the highest quality and technical specifications. Powered by twin Caterpillar engines the 65m will have a transatlantic range of more than 5,000 nautical miles at a cruising speed of 12 knots. Top speed is expected to be around 17.5 knots. 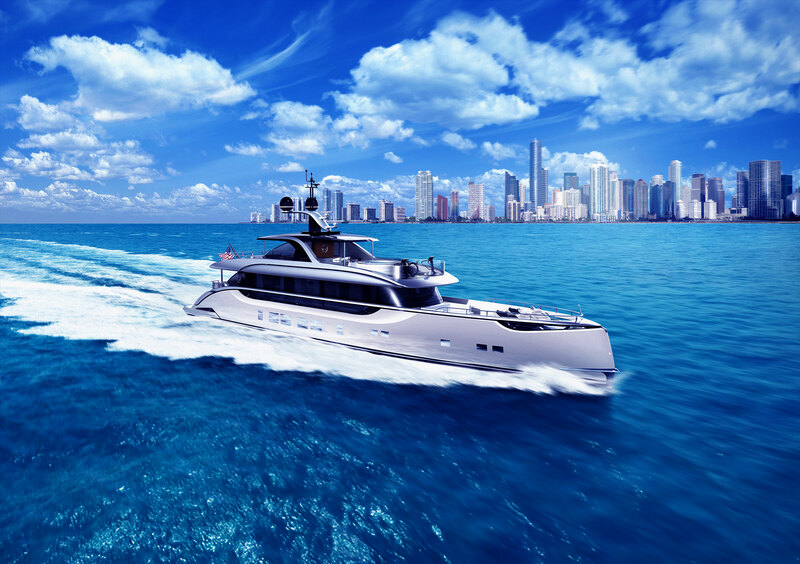 This superyacht is part of Codecasa’s flagship series which includes the M/Y Eternity and M/Y Double Down. The exterior lines have been designed by the builder’s internal team while the interior design is being developed by the owner’s contracted designs in collaboration with the Codecasa team. The overall layout is known to include four decks inside a steel hull with aluminum superstructure. Stay tuned for updates as more details are released surrounding this new superyacht from Codecasa.